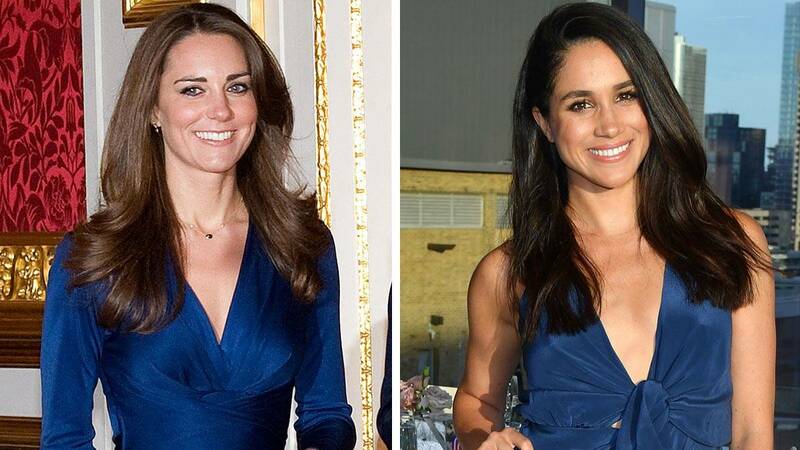 Since the news of Meghan Markle and Prince Harry's engagement broke, the internet (and the world) has been going crazy learning everything they can about Meghan. This includes—but is not limited to—figuring out where she bought her coat, who makes her handbags, and how Harry designed the ring. All the ~essential info~. 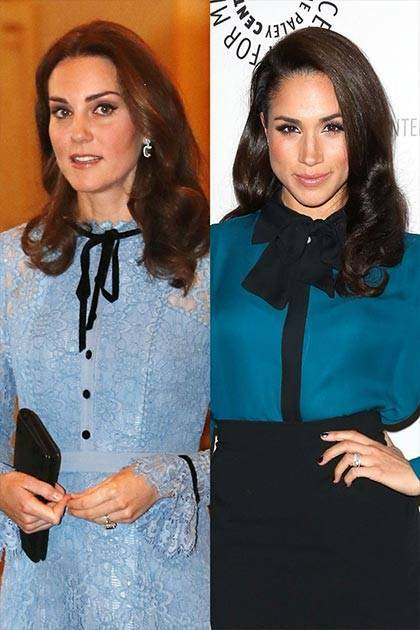 And when you're about to become royalty, you get compared to the women who came before you, which is why Meghan's aesthetic is already being compared to Kate Middleton's. Below, all the times they dressed *exactly* the same. Kate: Attending the premiere of A Street Cat Named Bob on November 3, 2016 in London. 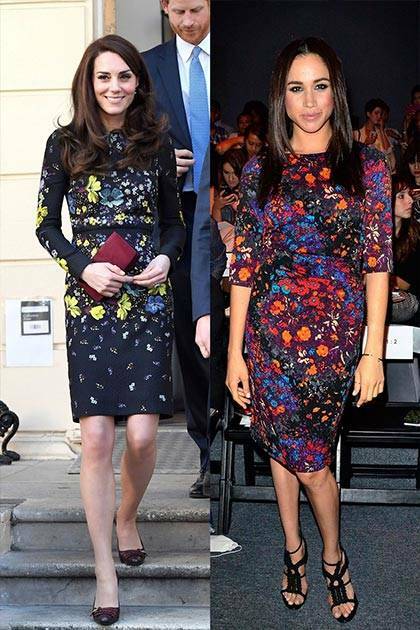 Meghan: Attending the 2015 NBC New York Summer Press Day on June 24, 2015 in New York City. Kate: Attending the Place2Be Wellbeing in Schools Awards on November 22, 2016 in London. Meghan: Attending a Step It Up For Gender Equality Celebration on March 10, 2015 in New York City. Kate: Attending the The Royal International Air Tattoo at RAF Fairford on July 8, 2016 in Fairford, England. 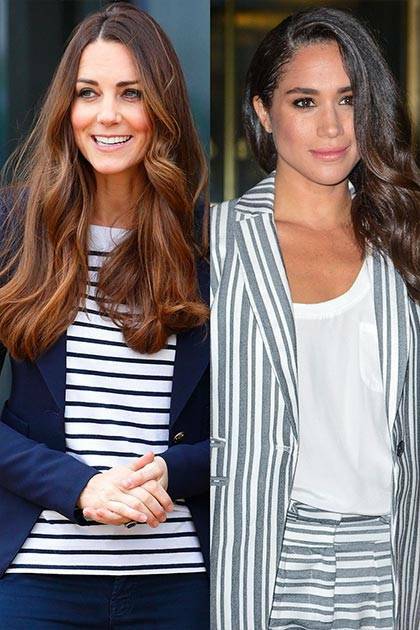 Meghan: Posing for promotional photos as her Suits character Rachel Zane. Kate: Attending the St. Andrews 600th Anniversary Dinner on December 9, 2014 in New York City. Meghan: Attending the Elton John AIDS Foundation's 13th Annual Benefit on October 28, 2014 in New York City. Kate: Officially announcing her engagement to Prince William at St James' Palace on November 16, 2010 in London. Meghan: Attending an Instagram Dinner held at the MARS Discovery District on May 31, 2016 in Toronto, Canada. Kate: Attending a briefing to announce plans for the Heads Together charity on January 17, 2017 in London. Meghan: Watching the Tracy Reese show during Spring 2014 Mercedes-Benz Fashion Week in New York City. Kate: Attending the Annual Festival of Remembrance at Royal Albert Hall on November 7, 2015 in London. Meghan: Attending a USA Network presentation of A More Perfect Union: Stories Of Prejudice And Power on February 15, 2012 in West Hollywood, California. Kate: Attending the Government of British Columbia reception at Government House on September 26, 2016 in Victoria, Canada. Meghan: Arriving at a TODAY Show taping at NBC Rockefeller Center Studios on July 14, 2016 in New York City. Kate: Attending a society wedding at Burford Parish Church on June 4, 2005 in Burford, England. Meghan: Attending the NBC/Universal 2014 TCA Winter Press Tour on January 19, 2014 in Pasadena, California. Kate: Attending a SportsAid Athlete Workshop in the Queen Elizabeth Olympic Park on October 18, 2013 in London. Meghan: Attending a TODAY Show taping at NBC Rockefeller Center Studios on July 14, 2016 in New York City. Kate: Attending a reception at Buckingham Palace to celebrate World Mental Health Day October 10, 2017 in London. Meghan: Attending a Suits screening at The Paley Center for Media on January 14, 2013 in Beverly Hills, California. Kate: Watching the Calgary Stampede Parade on July 8, 2011 in Calgary, Alberta. Meghan: Attending the Dove Self-Esteem Project event at Earl Bales Community Centre on October 6, 2015 in Toronto, Canada.